The Shoreside Tank was originally designed for The Yarnover Truck's STITCHES West campout. 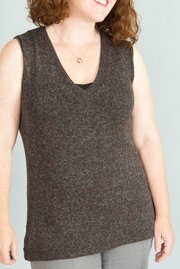 It's a breezy summertime sweater - a deep V tank with a narrow neckline and a flattering A-line shape. 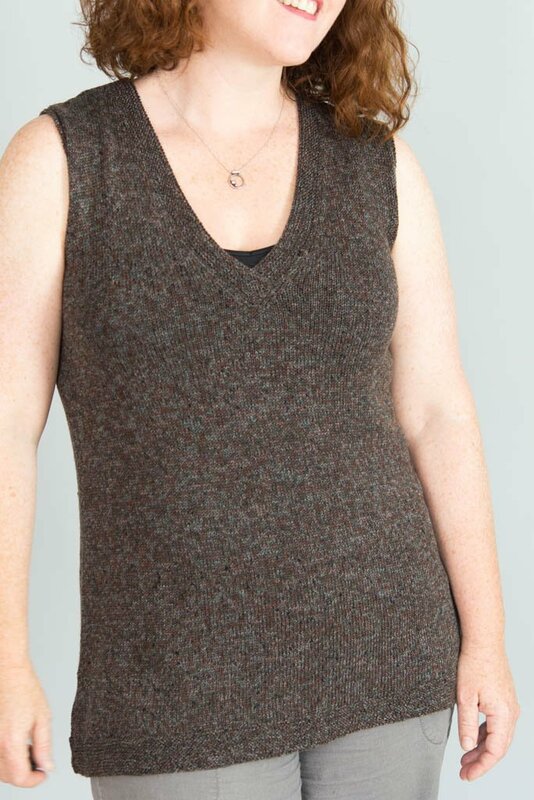 It works best in light, airy yarns with plenty of drape, and just might change your mind about summer sweaters! 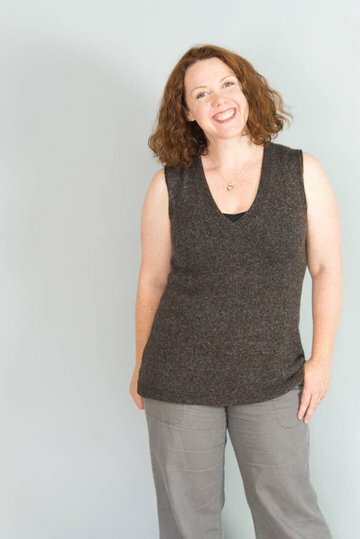 Amy is wearing the tunic with a close fit in the shoulders, and plenty of positive ease in the hips. 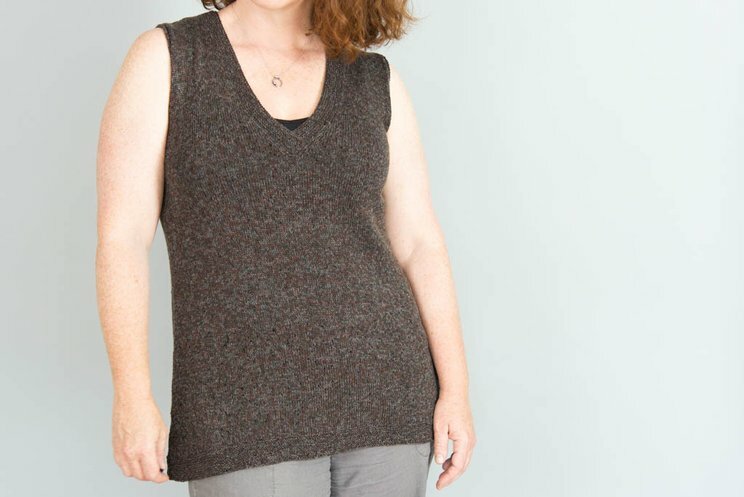 This is how A-line sweaters are sized by default in CustomFit, but you can adjust the fit in the shoulders and hips separately if you like, by choosing the shoulder fit you want on this screen, and clicking the "customize fit specifics" to sanity-check the hip ease. Pictured in a-line silhouette. Also available in straight silhouette. Please see our page on silhouettes for a full explanation of silhouettes in Customfit. This sample was worked in Habu Textiles Wrapped Merino 4p, a merino yarn wrapped in silk. 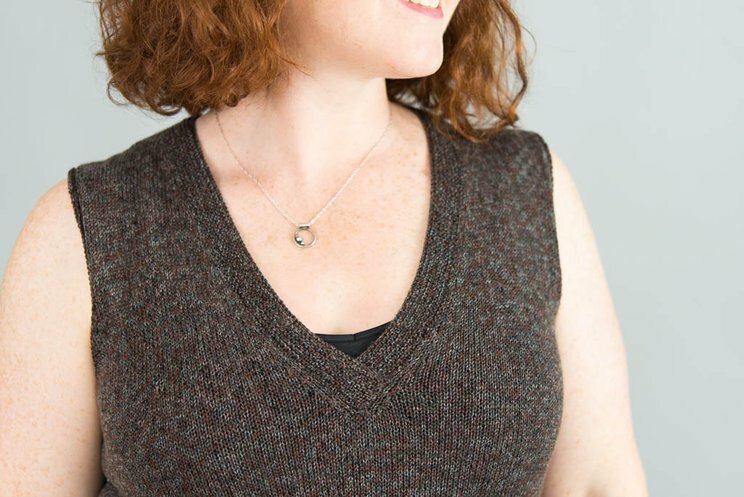 It's an exquisite, unusual yarn and makes an incredibly elegant, chic garment - I highly recommend it. I liked this yarn worked up at 6 stitches and 9 rows to 1'' (2.5 cm), and used the color #1 "dark brown". 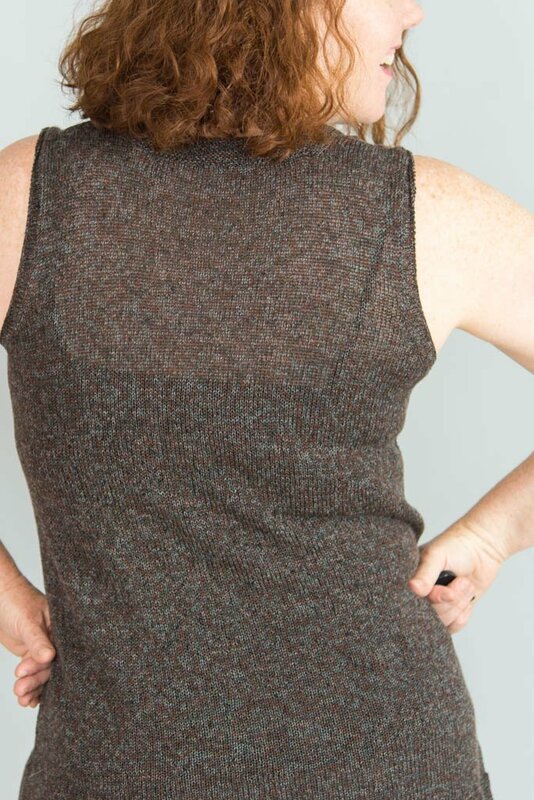 If you would like to use an alternate yarn, please choose something lightweight, breezy, and with some drape. Silhouettes: Pictured in a-line silhouette. Also available in straight silhouette.